Okay, so with the 2008 year dwindling away and only a few cons left, people have to start planning what costumes they will go with next year. So here's my listing, with pictures added! ...and something else that I have no idea yet. Me, I'll probably just reprise Leeron for another con or so, then work up something new for Halloween and after. Maybe finally finish that Knives costume I've had in the cupboard for a few years. Or tackle the Captain Harlock? Actually, I didn't notice the fluttery thing until you just mentioned it. 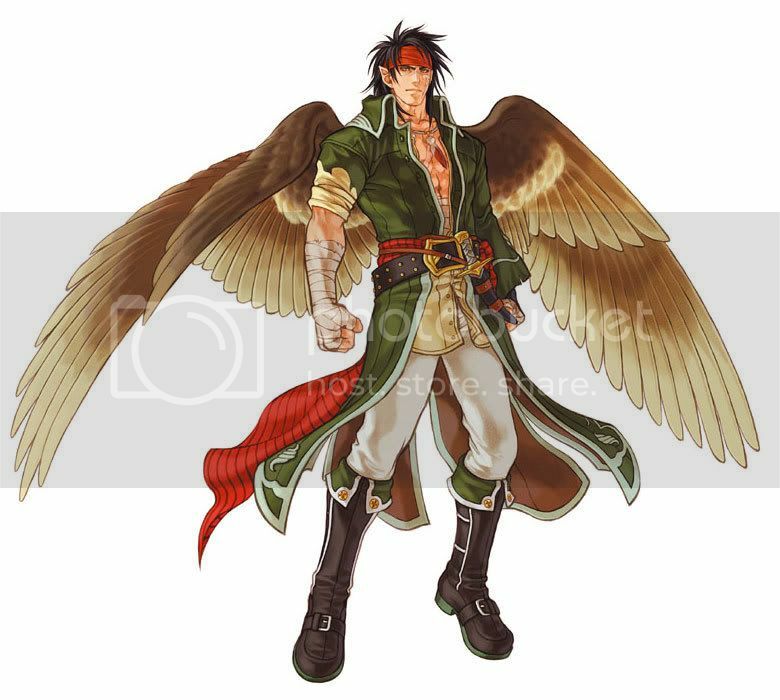 I wanted to do Tibarn because of the wings, and I actually planned to have Faust for this Otakon, but laziness told me not to. And I heart Narshen. Hmm...I've always wanted to do Rin from Blade of the Immortal (in the second outfit she wears in the manga). I just need to prequre some sewing skills and then I'll be set! If I don't get to the kimono, I could always do a t-shirt. I've been meaning to make a Devil Bat Fan t-shirt since the spring. (where i only finished the White Knights t-shirt). Is anyone up for an Organization XIII cosplay? I myself am very interested in cosplaying Zexion. I've pretty much done my dream cosplay (Haydee from Gankutsuou, which I will post pics for SOMETIME), so I also need ideas. Joe, I think Narshen would work best with the style of hair you have...but not the colour. Szethrusi wrote: I've pretty much done my dream cosplay (Haydee from Gankutsuou, which I will post pics for SOMETIME), so I also need ideas.